Two people were killed when a bus overturned on Highway 443 on Sunday morning. An additional 41 people were injured, including five moderately. The crash occurred near Beit Horon on the way from Modi’in to Jerusalem. 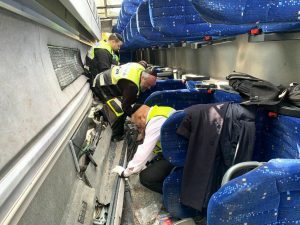 Though the cause has not been determined, early reports indicate that the bus slipped on the wet road and hit a car, causing the bus to hit the median safety railing and land on its side. The highway was closed on both sides, and a crane was brought in to lift the bus to extract numerous passengers who were stuck inside. 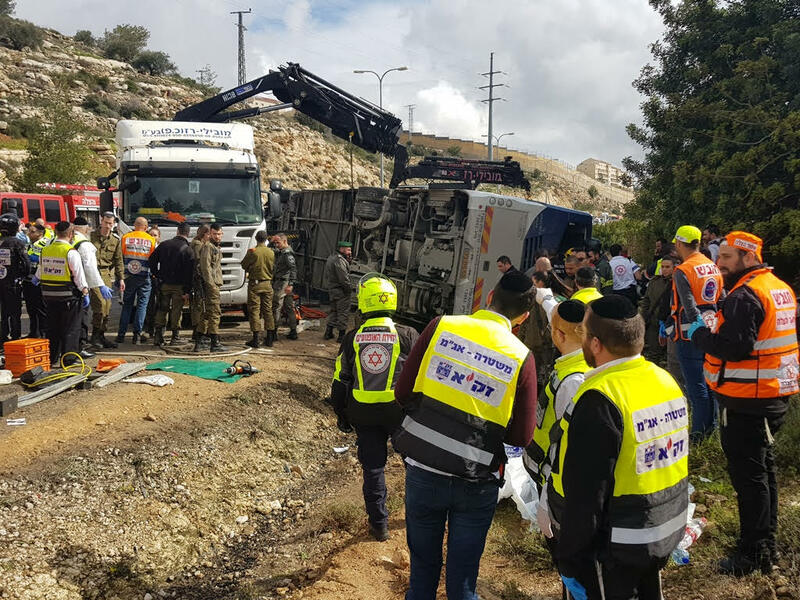 According to medics on the scene, civilians and Israeli soldiers began evacuating passengers from the bus as medical teams arrived. Highway 443 is an ancient road from Israel’s plains region up through the Judean mountains and into Jerusalem. It is noted in the books of Joshua and Samuel, and is mentioned by the ancient Jewish writer Josephus.